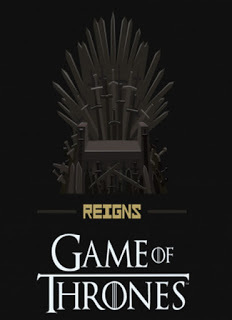 Reigns: Game of Thrones is a strategy game which is developed by Nerial and published by Devolver Digital. This PC version game was released on 18 October 2018 for Microsoft Windows. It is the third entry in Reigns series. You can also download Forward to the Sky, Ghost of a Tale, Terraria and much more on Gamesave. 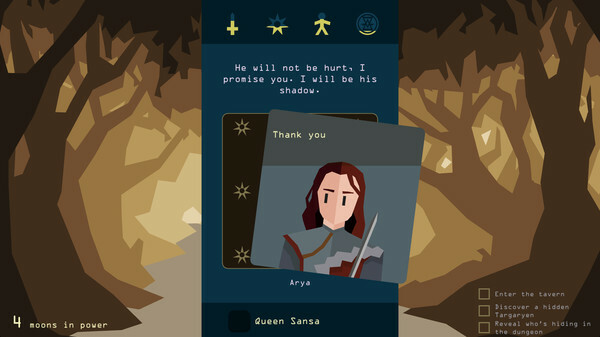 In Reigns: Game of Thrones player’s task is to rule as king or queen on a kingdom for as long as possible, to make decisions and guide Westeros. 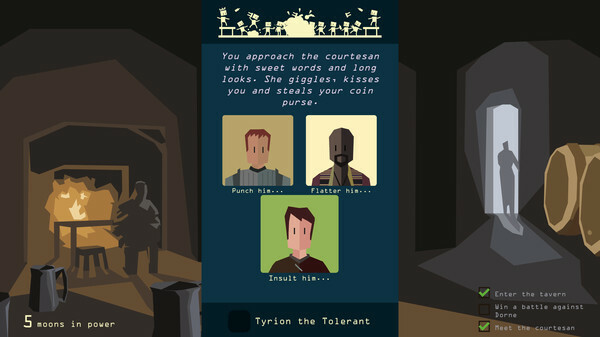 Player will be able to be one of the principals from the Game of Thrones universe. In this game is the player wants to rule long so he needs four factors which are military strength, religious favor, domestic popularity, and state wealth. In this version of game player is continually presented with questions regarding the ruling of his kingdom. Player will have to answer these question carefully because every question have an impact on his kingdom. 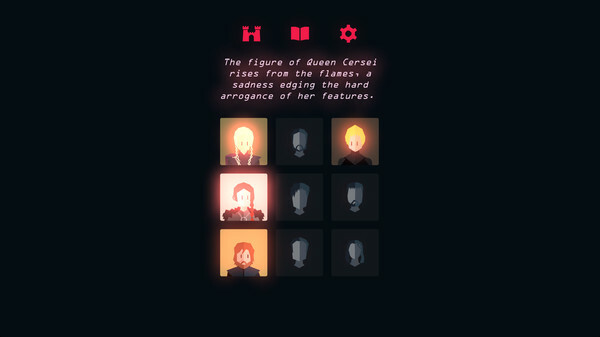 This version features many character, each character have its own unique ability. The player will be able to encounters different challenges based on that character’s story arc. A Formidable Cast: Rule from the Iron Throne. Change between each king and queen you unlock to face challenges and mysteries unique to their story. Impose Your Will: Swipe left or right to change the fate of the Seven Kingdoms forever as you hear the impassioned pleas and unpredictable demands from the people of Westeros. Reenvision Westeros:Rebuild the Great Sept of Baelor as Cersei or discover the path of the Seven Kingdoms if Sansa Stark had married Jaime Lannister. 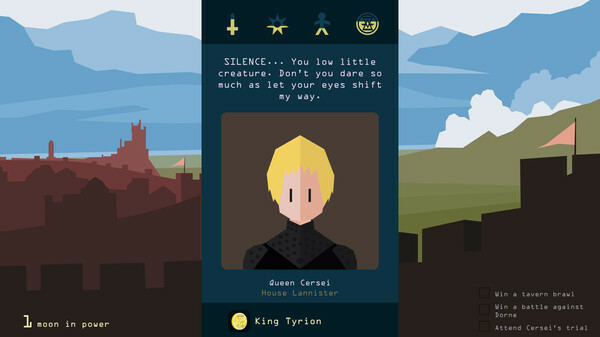 Regal Mini Games: Even the most powerful rulers need to set aside their worries and partake in more trivial matters now and then.Daenerys Targaryen, Tyrion Lannister, Sansa Stark, and more. A Grander Reigns: Fans of the Reigns series will be delighted with the biggest, retell the stories you know but rather lets you create new adventures at your whim.